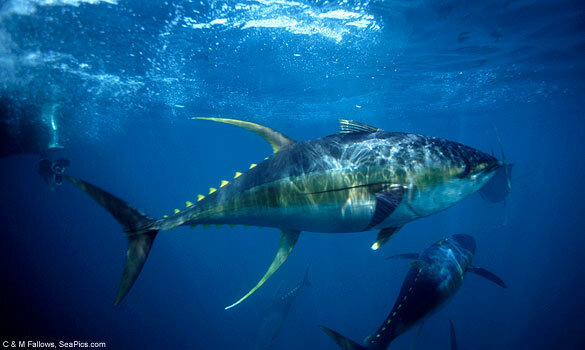 May 2, 2013 marks the second annual International World Tuna Day. In 2011, the Ministers of the Parties to the Naura Agreement (PNA), a group of eight Pacific Island Countries who harvest tuna from local waters, launched this global initiative. Designed to celebrate and draw attention to this valuable resource, this event seeks to bring increased awareness to the fact that sustainable fishing practices are vital to the future of wild caught tuna. 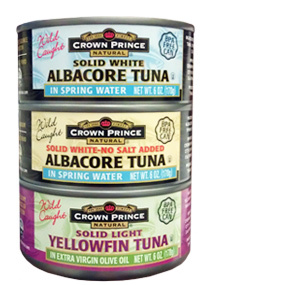 In the canned seafood business for 65 years, Crown Prince recognizes the critical role that healthy fish stocks play in the ecosystem as well as our livelihoods. We want future generations to be able to enjoy an abundance and variety of fish. We feel that this is essential to a healthy diet and a healthy ecosystem. To celebrate this day Crown Prince will be sponsoring a tuna sweepstakes. Starting on March 13 we will be accepting entry forms via our website that will be entered into weekly drawings for free cases of tuna. The first drawing will be on April 1 and will continue until World Tuna Day on May 2, 2013. All entries that are not selected will remain in the drawing throughout the sweepstakes. We will send a $1.00 coupon to all those who enter the sweepstakes. Please visit our website for more information. We hope you will join us in the celebration!